Tape measure bracelet, wrist ruler, leather bracelet, leather tape measure, fun tape measure, novelty, silicone bracelet. Leather key fob. This a multi listing for various tape measure accessories. 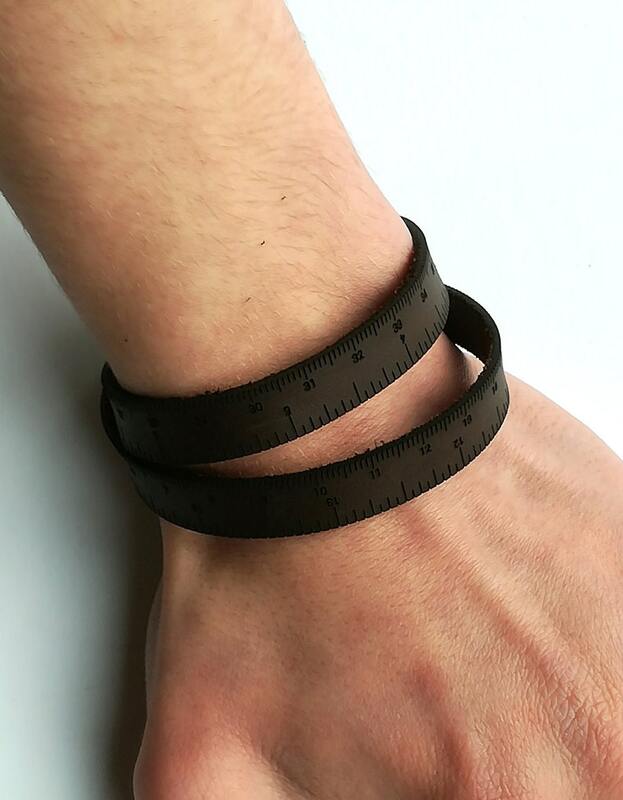 The leather tape measure can be worn around your wrist as a bracelet ensuring you always have it with you when knitting or crocheting in public. A great little accessory, it comes in a medium or dark brown leather, or a turquoise blue leather, with a metal (nickel plated) fastener that simply pushes through a hole at one end. The leather tape measure comes in two sizes and is designed to wrap around the average adult wrist twice before fastening. The markings run the full length of the bracelet, including fastenings. The leather Wrist Ruler comes in its own little tin, which doubles as a great pot for stitch markers, darning needles and other tiny accessories knitters and crocheters often carry with them. A silicone Wrist Ruler, perfect for vegans or those who just prefer not to wear leather. This is a one-size-fits-most white band with an adjustable fastening. It has measurements marked in centimetres and inches, up to 48cm/18 inches. ** This is now available in yellow too ** (pictures to follow). The handy little key fob ruler is a perfect addition to your keyring. The leather ruler pops open without detaching from your keys and gives you a useful 15cm/6″ ruler. Great for when you are knitting or crocheting in public! The fob is available in a light tan colour and arrives in its own little cloth pouch. Please note that leather, like clothing, can occasionally leave dye stains during wear - you might have found this previously with your watch strap or shoes, or perhaps with jeans. This is perfectly normal and should lessen with use. This is not considered a defect. 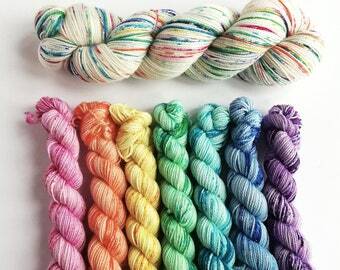 Yarn winding service, yarn caking, yarn cake, yarn ball, hand dyed yarn cake, skein to cake, balled yarn, caked yarn. Sehr Schöne und nützliche teilchen! Like the look of the product, however the color transfers on skin and clothing so have not been able to wear at all. I'm sorry that you have experienced dye transfer. Unfortunately, with leather, this can happen on occasion and it is within your rights to return the product should you wish. Hand dyed Wizarding yarn mini skeins variegated wool yarn. Colourways from the Wizarding club - sets of 27 colours in full or part. 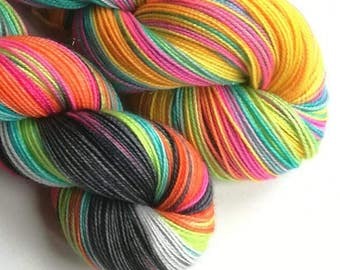 Monthly Big Bang yarn club pre-order, sock 4ply dk yarn, mystery yarn club, hand dyed yarn subscription with a new character each month. 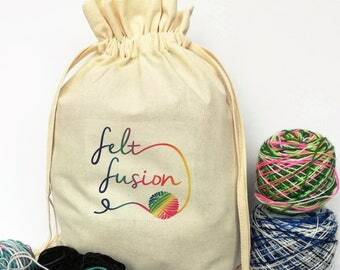 Drawstring cotton fabric project bag, perfect for knitters or crocheters, printed with my Felt Fusion logo. 25cm x 36cm. Sock knitting bag. Hand dyed yarn surprise. Mystery yarn, you choose yarn weight. Dyed to order wool. UK Indie dyed, knitting, crochet, weaving, wool gift.